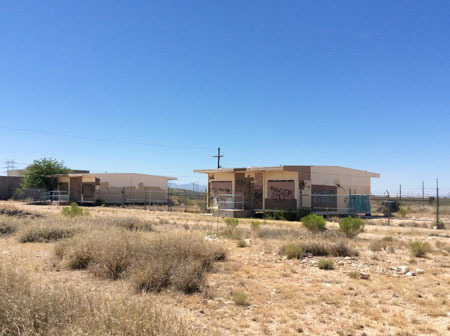 Pima County Community Development and Neighborhood Conservation Department (CDNC) won a highly competitive $400,000 EPA Community-Wide Assessment grant to conduct voluntary environmental site assessments on southside commercial and industrial properties in an effort to spur economic development and create jobs. The brownfields funds will allow CDNC to complete a minimum of 36 environmental site assessments in addition to conducting community outreach and planning activities, said Daniel Tylutki, program manager for the county’s brownfields program. Brownfields, according to the EPA, are property whose expansion, redevelopment, or reuse may be complicated by a hazardous substance, pollutant, or contaminant. Former gas stations, manufacturing sites or industrial facilities often become abandoned paved lots, decrepit buildings and home to rusting equipment because developers can’t afford the costs to address the environmental concerns. The grant funds enable communities to redevelop brownfields sites into job-producing facilities, community green space, or for other recreational and non-profit uses. Specifically, EPA brownfields funds provide interested property owners money for lead/asbestos testing and environmental site assessments to characterize and add value to their sites.